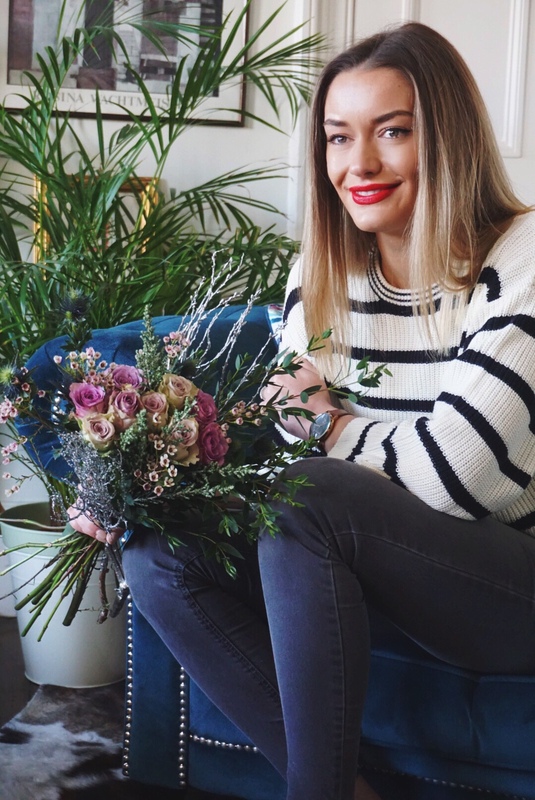 Bloom & Wild’s newest addition to the family is the Sasha, my dream bouquet. It is actually very similar to the style I had for my wedding and includes Eryngium (a blue thistle) which was heavily featured in my bridal & bridesmaids bouquets and the centres pieces for my wedding. I love them. Bloom & Wild are celebrating Burns Night this year with the special Sasha bouquet and its nods to Scotland. Sasha is a bouquet with edge. Pretty dusky roses and sprigs of lemony-scented waxflower are contrasted with spiky eryngium and wintery foliage in shades of green and grey. 27 stems including lilac roses, seasonal foliage and champagne dried myrtle. This bouquet smells like heaven. 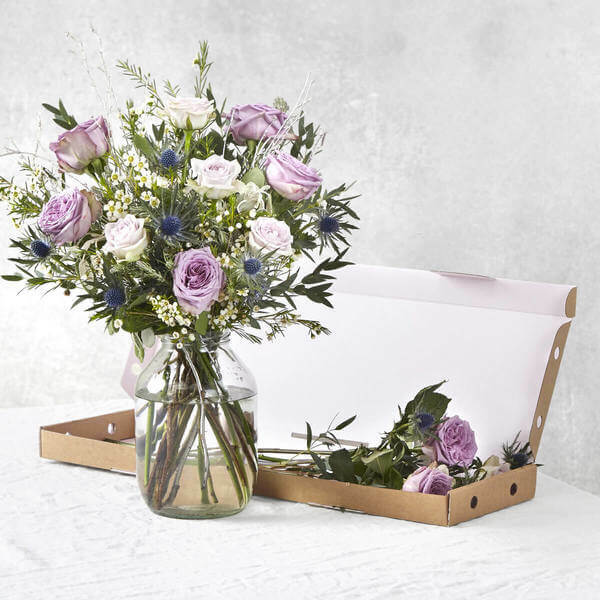 Delivered through the door in our premium letterbox packaging, with a gift card including your personal message. Carefully packed by hand, and delicate blooms are individually netted. Delivered through the letterbox with free next day delivery via Royal Mail Tracked or choose Premium Delivery for improved tracking and reliability. You can check out my previous review of Bloom & Wild here. I was sent this bouquet as a PR gift, view my full disclaimer HERE. Next Post Tuberose – The scent for lovers. Why my wedding perfume makes the perfect scent this Valentine’s Day.